Paddleboarding is not just about cruising along on flat water. It's about waves and surfing too. Big or small waves..it's up to you. However we would recommend you learn the paddleboarding basics on flat water first before you go off in search of swell! Whether you want to experience waves for the first time with confidence or get that cutback sorted... Reuben from SUPrental is your man! 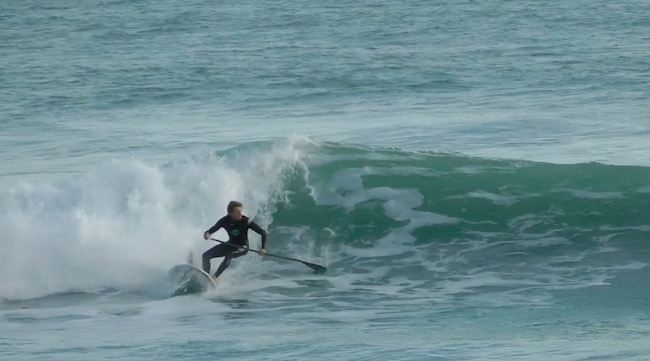 He'll get you paddle surfing to the next level in no time (beginners to advanced). Reuben is an all round waterman, who if not out paddle surfing, will be out surfing or windsurfing. He has many years experience coaching watersports to a high level and currently competes at national level paddleboarding. wave rules and wave etiquette! If you don't have your own board or would like to try a different one just let us know. Reuben's local beach is Whitsand Bay, in SE Cornwall and the prices above are based on wave clinics held there. However Reuben will happily come to your local wave spot in Cornwall... just get in touch for a wave clinic quote. Paddleboarding in New Zealand this Winter. 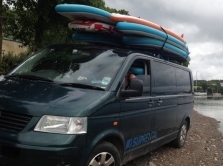 Get in touch with Reuben and he'll guarantee you'll catch more waves!